Keith Park, the son of the university teacher, James Park, was born in Thames, New Zealand, on 15th June, 1892. On the outbreak of the First World War in 1914 he volunteered to join the New Zealand Army. Park won a commission in 1915 and fought at Gallipoli. After being seriously wounded at the Somme he was sent to Woolwich in England to become an artillery officer instructor. In 1917 he transferred to the Royal Flying Corps and that year won the Military Cross and was given command of the 48 Squadron. The following year he joined the recently created Royal Air Force. Park remained in the RAF and in 1939 Hugh Dowding appointed him commander of No. 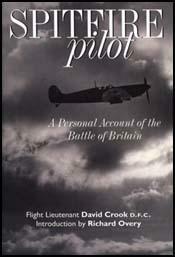 11 Fighter Group and in May, 1940, he had the task of covering the evacuation at Dunkirk. Although he only had 200 planes at his disposal he managed to gain air superiority over the Luftwaffe. As No. 11 Fighter Group was responsible for the main approaches south-east of London, it was very active during the Battle of Britain. 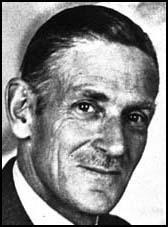 Some of his colleagues, including Air Vice Marshall Trafford Leigh-Mallory, were critical of his conventional views on air warfare. Leigh-Mallory took the view that RAF fighters should be sent out to meet the German planes before they reached Britain. Park rejected this strategy as being too dangerous and argued it would increase the number of pilots being killed. Although Park and Hugh Dowding were credited with playing an important role in the winning of the Battle of Britain, they were both removed from their posts after the conflict was over. In November, 1941, the new chief of the air staff, Air Chief Marshal Charles Portal, replaced Park as commander of No. 11 Fighter Group with his main critic, Trafford Leigh-Mallory. Park was transferred to a training group before being placed in charge of the airforce in Egypt in the autumn of 1941. He moved to Malta in July 1942, and after securing the embattled island he went on the offensive and attacked German conveys and aircraft at sea. He also provided air support for the British landing forces in Tunisia, Sicily and Italy. In January, 1944, Park became Supreme Commander of Air in the Middle East. The following year he provided air support for General William Slim in Burma. After the war Park retired to New Zealand. Keith Park died in 1975.